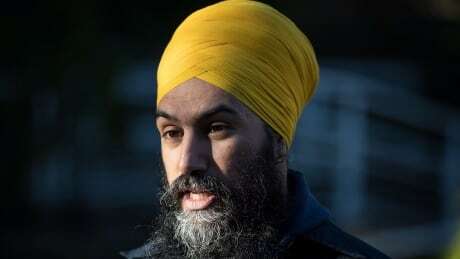 The NDP is asking the elections commissioner to investigate after two false stories about party leader Jagmeet Singh popped up online in the lead-up to the Burnaby South byelection later this month. A second false story — which has been shared more than 5,700 times on Facebook — accuses Singh of links to Sikh militants. In a letter to Commissioner of Elections Yves Côté, the NDP's Director of Operations Jesse Strean writes that the party "is very concerned" about the "slanderous" ads and asks Côté to investigate possible breaches of the Elections Act. Singh is running to represent Burnaby-South in the House of Commons in the Feb. 25 byelection. "It's an interesting gray area because it seems like they were advertising a clickbait story. So it just seems like it was actually poor sourcing and poor editorial, which isn't a surprise. Seemingly, that's the only way you can make money on the web ... not investing in content, but investing in scandal." 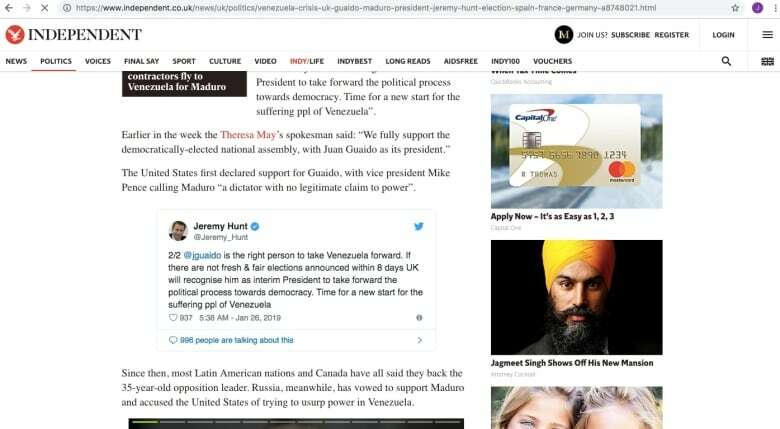 One headline, spotted by Radio-Canada's Jeff Yates, claims Singh is wanted for terrorism in 15 countries.